Are you concerned about crooked, stained, or chipped teeth? The team at Hereford Dental Health specializes in porcelain veneers, a minimally invasive solution to cracked, stained, or chipped teeth. Porcelain veneers are custom-fitted glass-like shells that are permanently attached to the surface of teeth that need correcting. A veneer can transform a tooth’s color, shape, size, or length. The medical-grade porcelain resembles genuine tooth enamel, so you will look like you were born with a perfect smile. 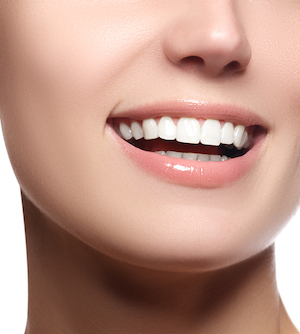 Our veneers are essentially indistinguishable from natural teeth – naturally perfect teeth, that is. Because porcelain veneers are individually constructed and fitted perfectly to your teeth, you can repair multiple problems at once with just one process. Best of all, they can stay strong and beautiful for many years. Here at Hereford Dental Health in Monkton, our ceramists will ensure that your porcelain veneers are done right. We also provide dental implants and other cosmetic dentistry procedures that preserve your beautiful smile.